GROUNDBREAKING research under way across the region could inform the way we manage kangaroo populations in urban growth areas along the east coast. 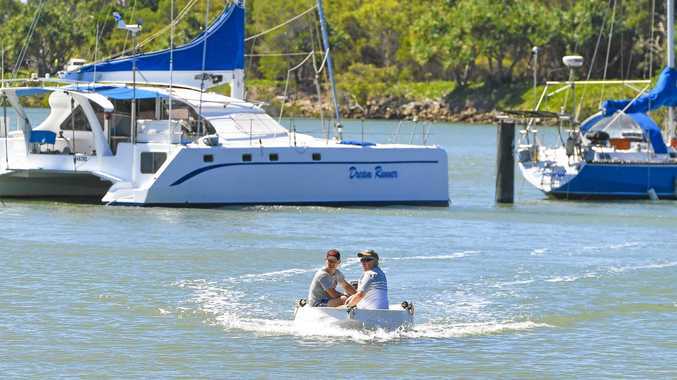 Associate Professor in Wildlife Management at the University of Sydney Catherine Herbert says Coffs Harbour City Council has been very proactive with what is a "relatively new challenge". "The focus up until now has mostly been on kangaroos and agriculture, but right along the east coast in those regional beachie places you've got housing developments and also the highway coming through altering the way kangaroos can move; often resulting in isolation of individual populations," Prof. Herbert said. "It leaves animals marooned in isolated habitats." The work follows on from the June, 2017 Coffs Harbour Kangaroo Management Plan, which identified the region as a hotspot for the Eastern Grey Kangaroo. The research project, currently funded through council's environmental levy, is under way at three key locations: Darlington Beach, Heritage Park (around Heritage Dr at Moonee) and the Look At Me Now Headland at Emerald Beach. "We are trying to provide council with more knowledge about the dynamics of different kangaroo populations and how they respond to urban infrastructure development," Prof. Herbert said. With concerns growing in relation to the potential conflict between animals and humans with a number of attacks in recent years, the study is looking at various methods of non-lethal population control and the behaviour of females in particular. "We have found that female kangaroos in particular have a high location fidelity - they have very small home ranges. "It was known they tended not to move a lot, but it was surprising just how small their home ranges are." Fertility control is being trialled at all three sites with kangaroos tranquilised and then injected with a contraceptive implant. Another method being trialled, avoiding capture and potential stress, involves shooting a dart containing contraceptive into the animal. Some disturbing initial results have revealed the Look At Me Now population is under considerable stress. "We're seeing a high level of parasites on the population at Emerald Beach and preliminary work based on blood tests suggest they are nutritionally stressed," she said. "That population is struggling and there is significant over grazing. "Because females are so tightly linked to their location it's hard to know how bad things need to get before they move. "The population is increasing, but we're possibly seeing the early signs of what could be a population crash." In a wider context, Associate Professor Herbert hopes this research will feed into a broader investigation into how best we can manage kangaroos in regional centres. 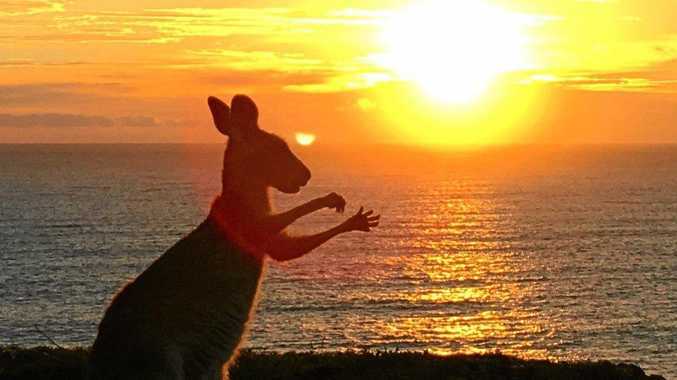 "One problem is that because kangaroos aren't listed as endangered or threatened they don't trigger any official processes as far as development applications go."